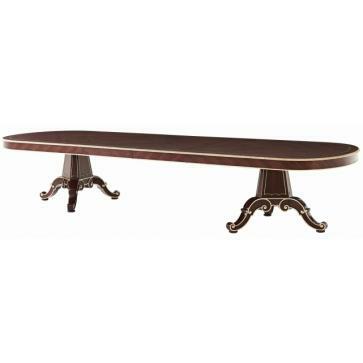 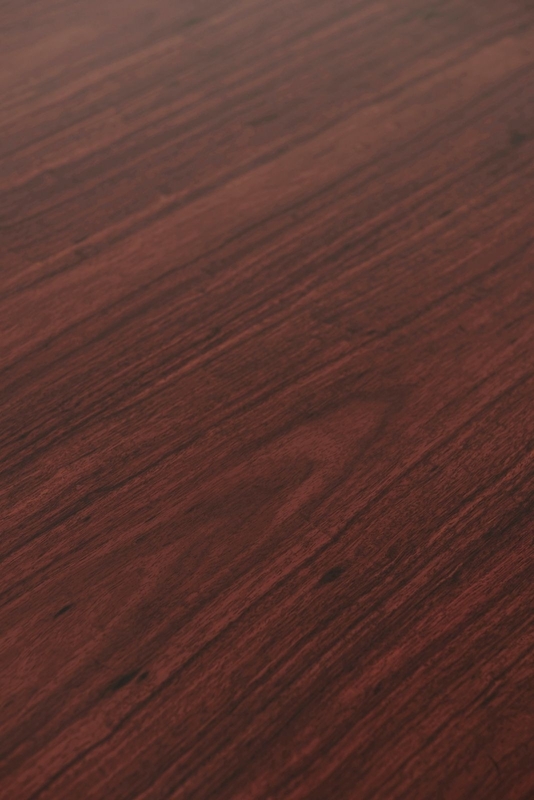 An extending dining table in granadillo veneer and mahogany. 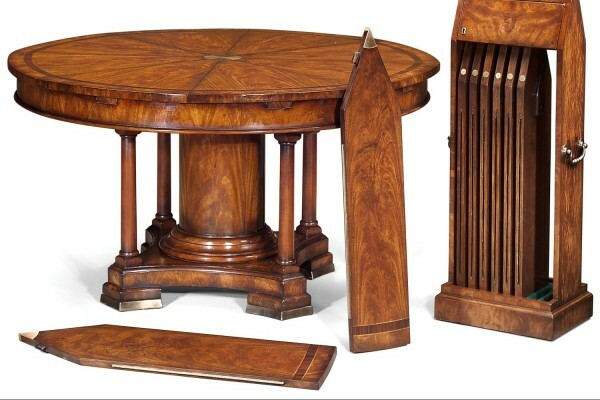 An extending dining table in granadillo veneer and mahogany. 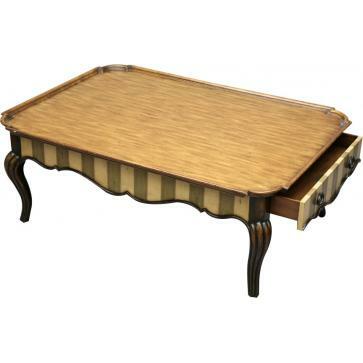 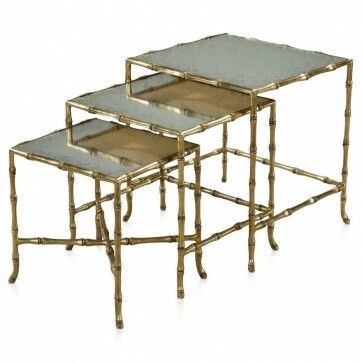 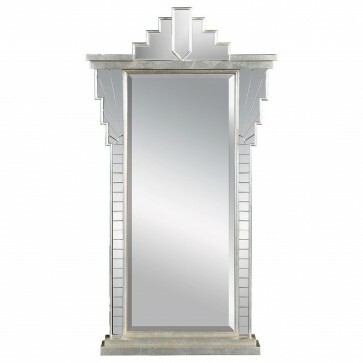 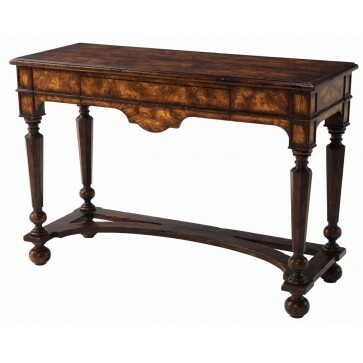 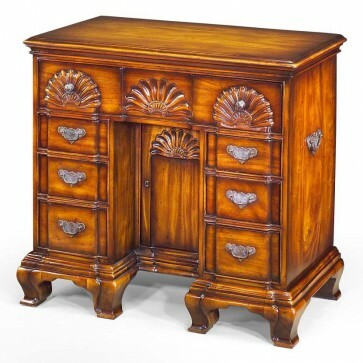 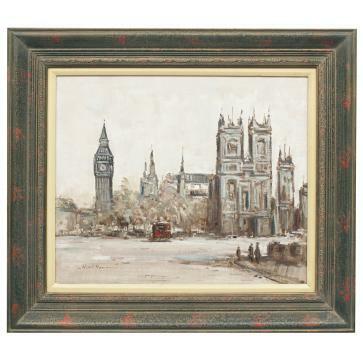 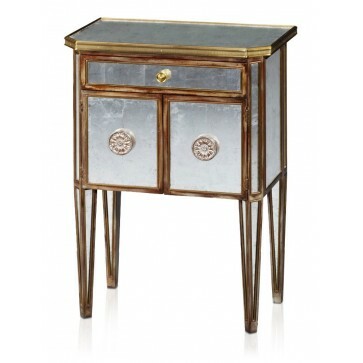 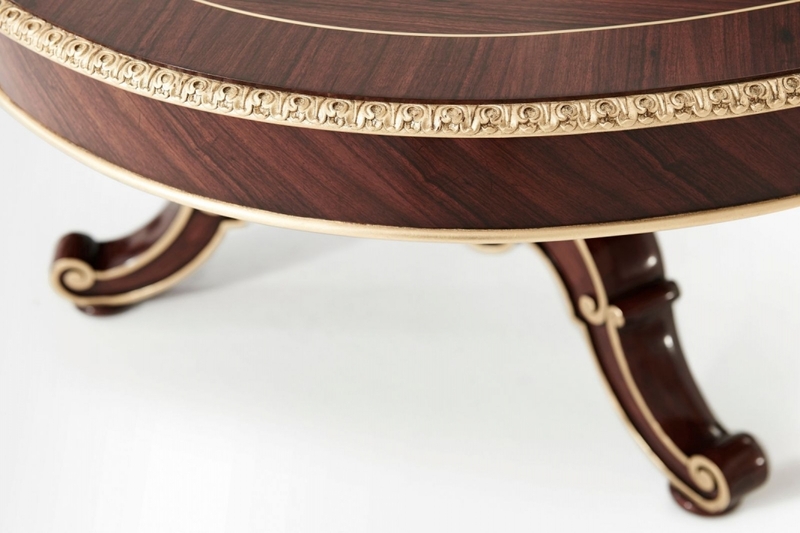 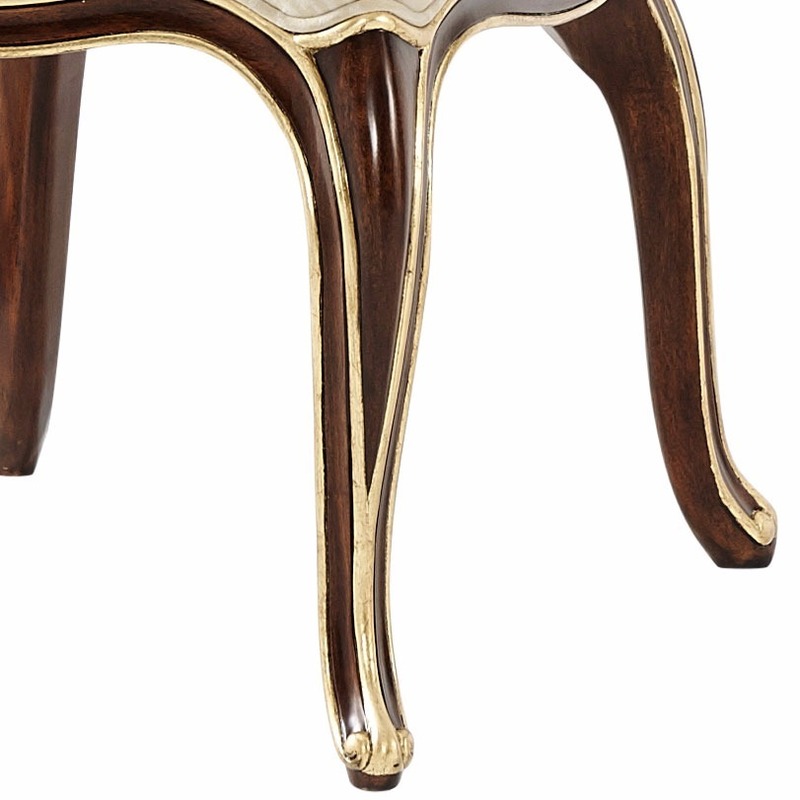 The top is crossbanded with brass stringing with hand carved gilt moulding to the edge. 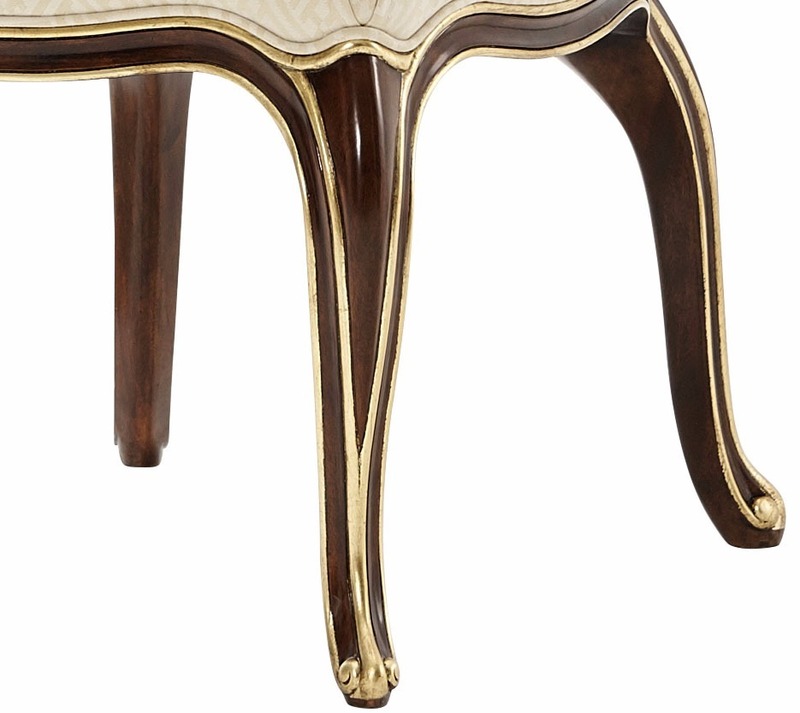 Further gilt moulding with highlights to the tapered panelled bases with scroll legs and disc feet. 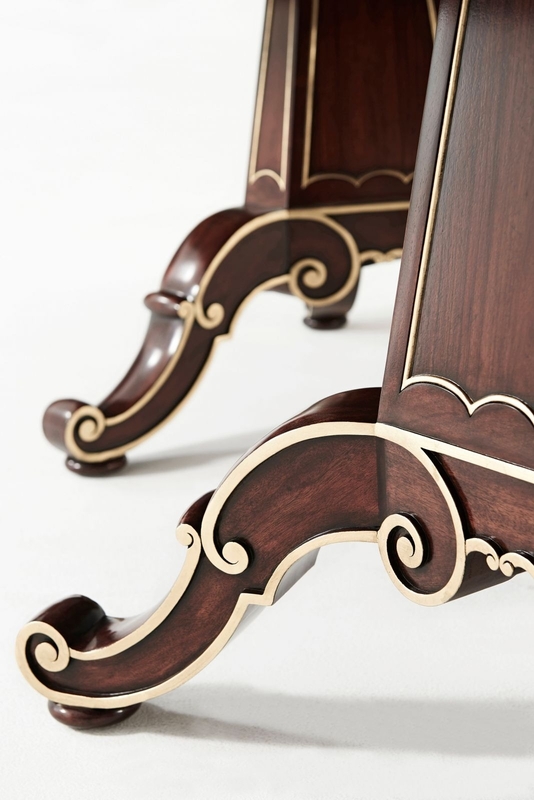 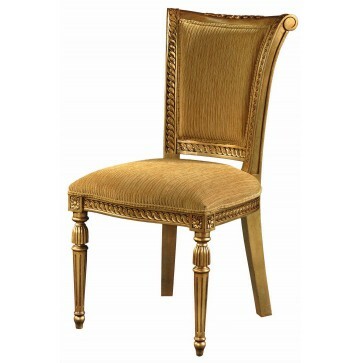 With a set of 10 hand carved dining chairs in mahogany, polished to match the table with gilt highlights. 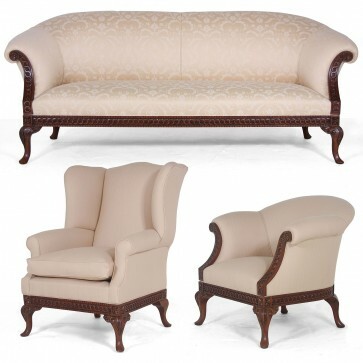 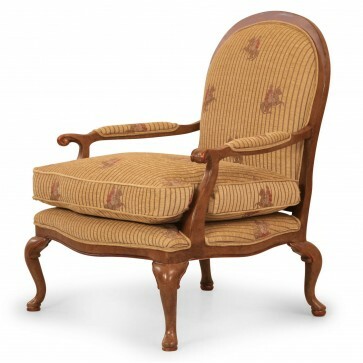 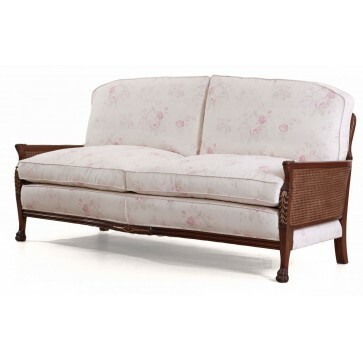 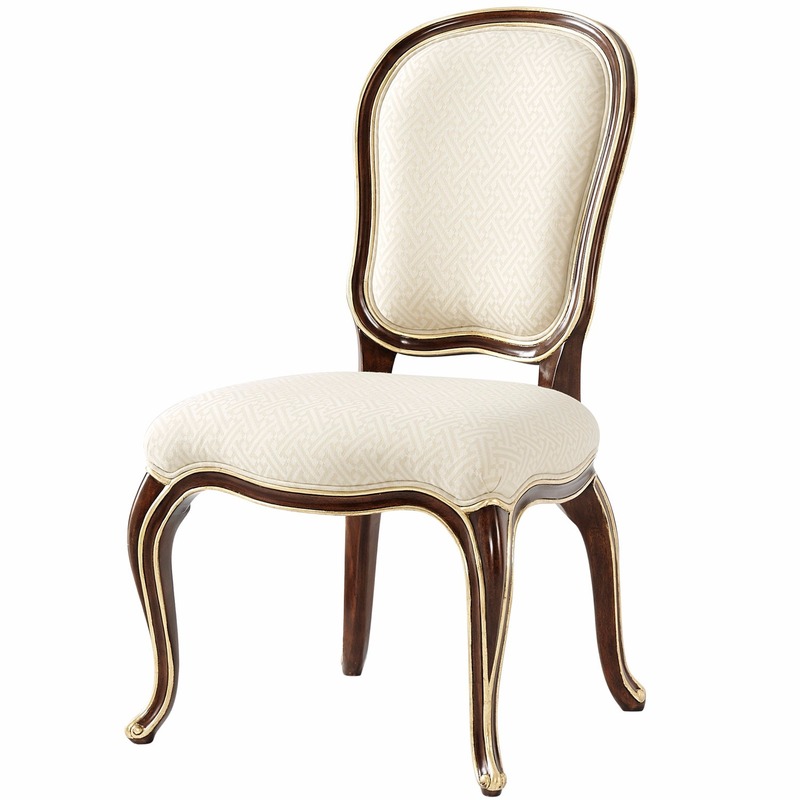 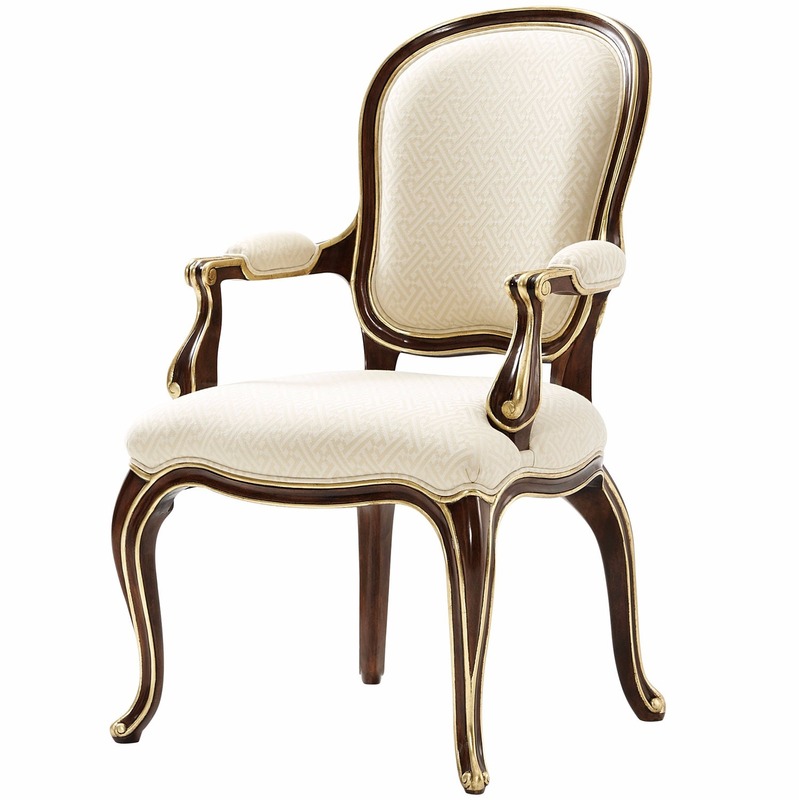 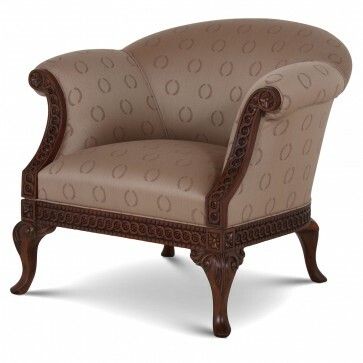 Cartouche upholstered back and cabriole legs with scroll feet. 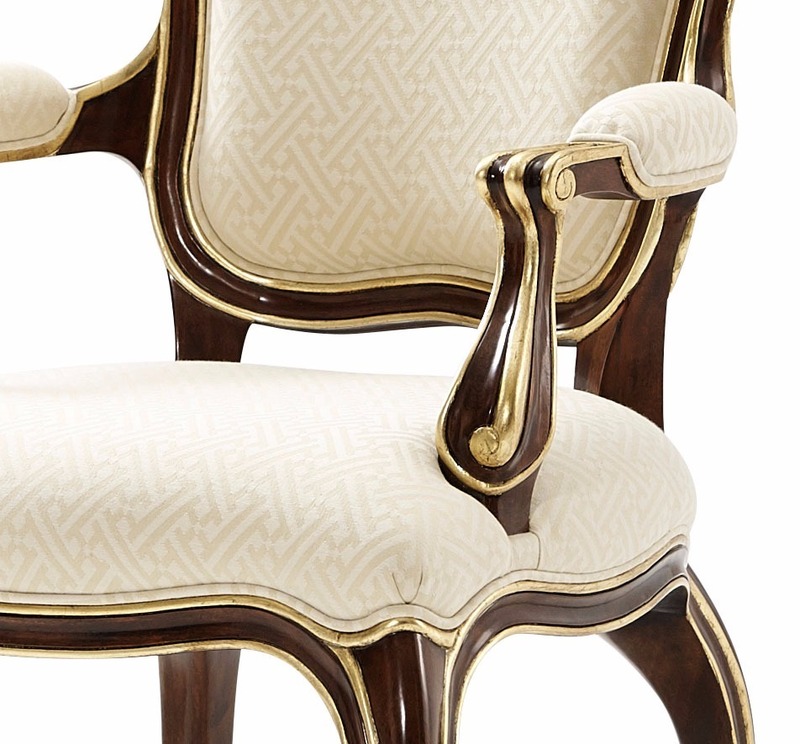 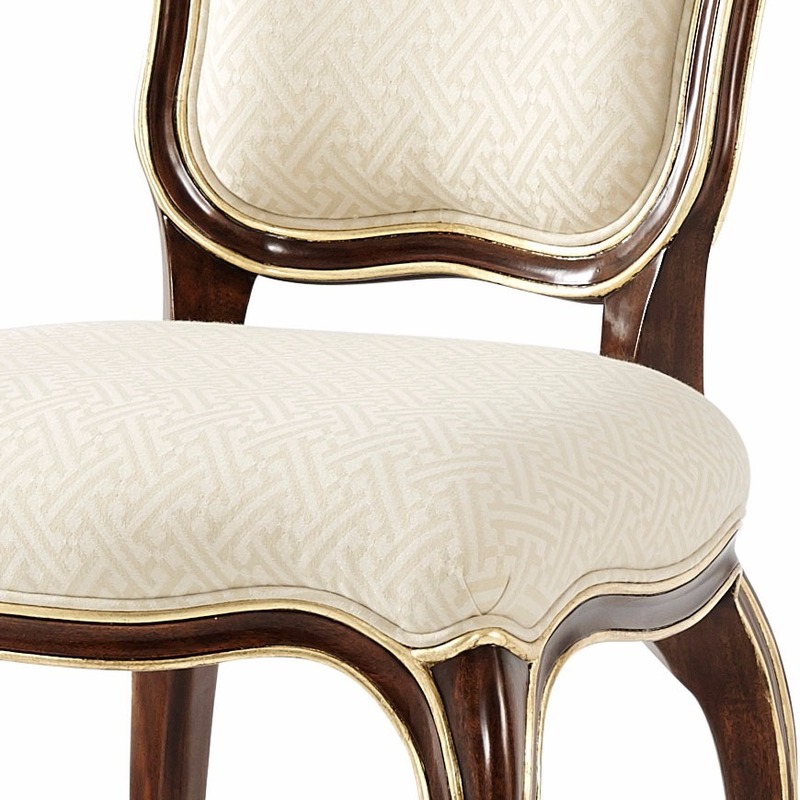 Upholstered in a quality vanilla Linwood weave featuring a siubtle greek key repeating pattern. 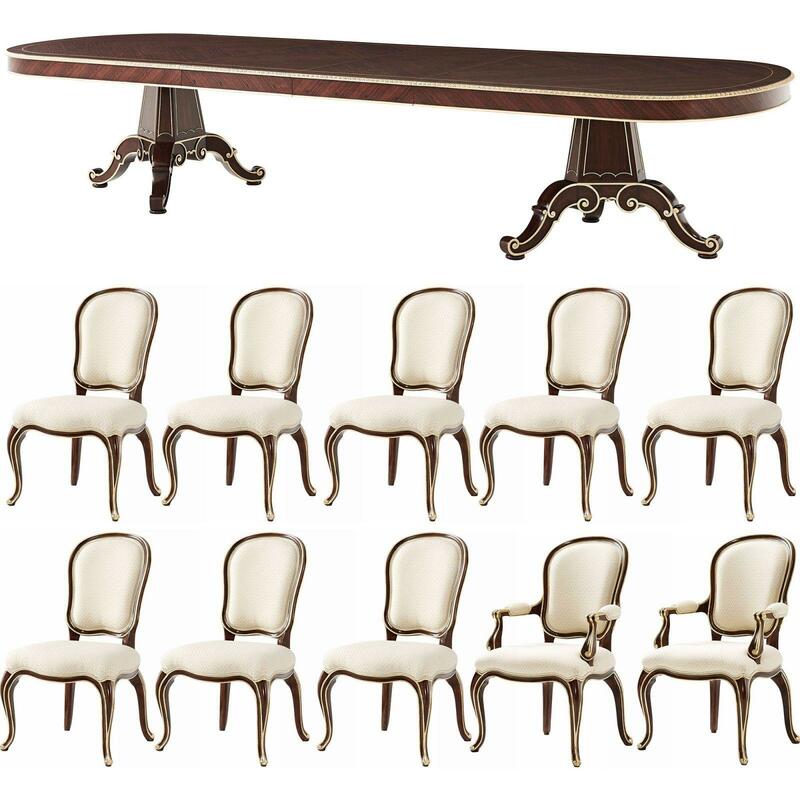 Supplied as 8 side chair and 2 arm chairs.